Day 300: Sun Salutation free zone! Have I mentioned I hate sun salutations? I mean… not so much now after many years and many teachers helping me sort out exactly how to do this sequence. But it still doesn’t feel great in my body if I do more than a few. It hurts my wrists. Yes I know the modifications.. yes I know… but actually none of them really feel good in my body. It is pretty standard where I live to see a sun salutation taught in almost every class. I don’t really understand why. Even gentle beginner yoga classes have sun salutations. 50+ classes have sun salutations. Really??? I was shocked to hear it to be honest. When I started doing yoga it was sun salutations that were primarily what I did. Beginners = Sun Salutations. They gave me carpal tunnel. They gave me sore shoulders. They just didn’t feel good at all. Yesterday in my 50+ class a student came to me and said she had attended another gentle yoga class but it had hurt her body. Sun Salutations. 6 of them in a row… I hear this all the time. I just don’t believe this is a gentle sequence especially for new practitioners. I have decided to declare all my classes “Sun Salutation Free“. Be free wrists!! We can lengthen, heat up, warm up, and move some other way that feels less risky. 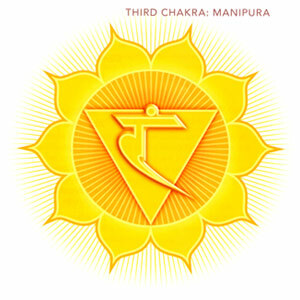 We focused on the third chakra (manipura) this week in my teacher training. It didn’t go very well for me. I wanted to lie in some mellow supported heart opening posture but instead we were doing side plank, plank, boat pose and a few other insane core strengthening poses. Core strength has never been one of my strong points. I was getting a lot stronger in my core a few years back and then I had a baby. Welcome back blubber tummy!! Blurgh. This chakra is all about fire, power, energy. I had hoped focusing on this chakra would stimulate and invigorate me but it hasn’t. Maybe next time? I can feel this is an energy center I need to pay attention to. It is something I need in my life. More will power, more internal fire, more self esteem.. This chakra rules the stomach and kidneys. Two areas of my body that have been known to have issues. My internal digestive fires certainly need some stoking. I think I will come back to this chakra and work more thoroughly with it again once my teacher training is done (and I have had at least a week of 8 hours a night of sleep in a row). Really I am just hanging on until next week when we do the heart chakra. Bring on the supported heart opening postures please! This yogini is tired.